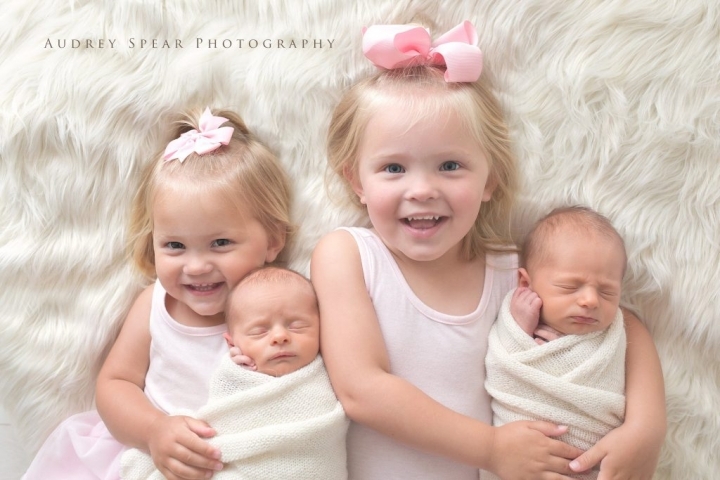 Two proud big sisters, two adorable baby brothers… you just can’t get much sweeter than this. 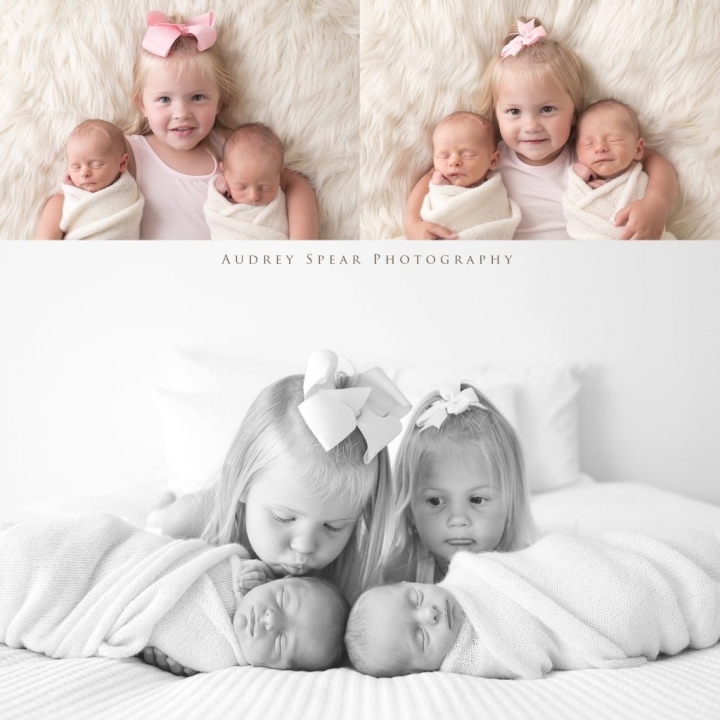 This beautiful family was so fun, the girls were over the moon about their brothers! They came into the studio for the boys’ newborn session when these little guys were just a few days old, and everyone was just incredible. Mom asked if we could get a few of just the “guys”… yes, absolutely! 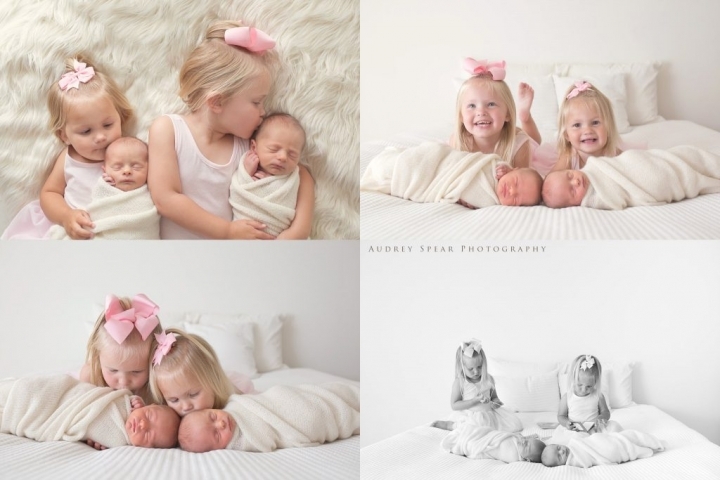 Would you like to schedule your baby’s newborn session? Send me a message at portraits@audreyspearphotography.com and let’s chat!